Classified as a National Monument since 1911, the Nossa Senhora do Pópulo Church is one of the most emblematic attractions of Caldas da Rainha. It was first built as a private chapel of the Thermal Hospital and was elevated to the main church, due to the rapid growth of the town. Designed by the Master Mateus Fernandes, one of those responsible for the Unfinished Chapels of the Monastery of Batalha, dates from the beginning of the sixteenth century and has the particularity that the chancel was built on one of the thermal springs. Small, Nossa Senhora do Pópulo Church proves to be huge by the combination of styles encompassing, being referred to as one of the first buildings where you can find Manuelino the evidence and the richness of details that, either within or outside are worth of a closer look. To better understand the legacy of the city of arts and culture, in 1504 the Nossa Senhora do Pópulo Church was the scene of one of the most emblematic works of one of the great names of Portuguese literature, Auto de São Martinho by Gil Vicente, of whom the Queen Leonor, big driver of arts and culture, was patron. 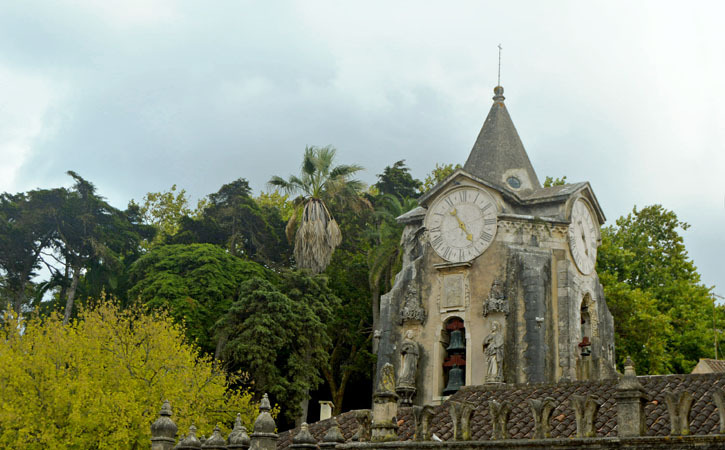 You can not miss this Caldas da Rainha heritage masterpiece.